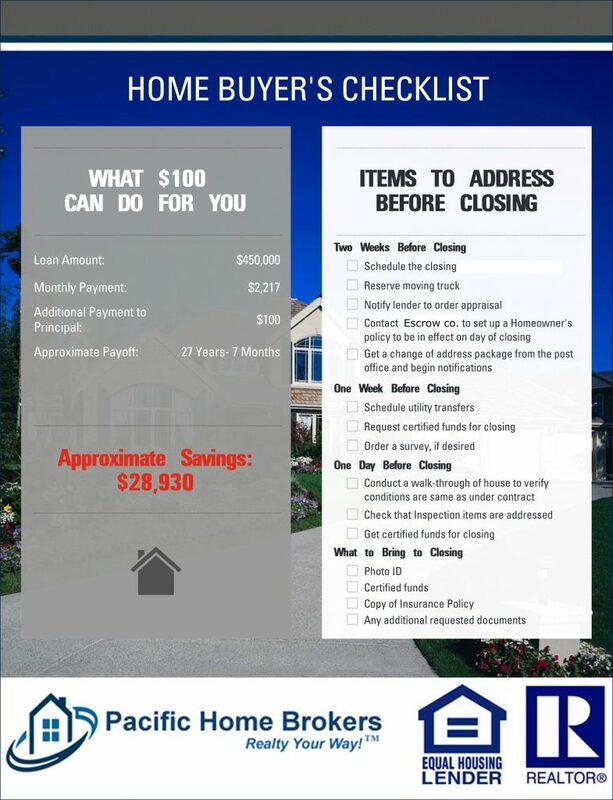 Along with performing your final walk through to ensure the home is in satisfactory condition, you will need to make sure the escrow company has all the items it needs to close after you sign your closing documents. Your Pacific Home Brokers agent will ensure you are ready for closing and answer all your questions. This entry was posted in Real Estate on October 9, 2017 by Mike.